Red Butte Garden, part of the University of Utah, is the largest botanical garden for growing, testing and exhibiting plants in the Intermountain West. 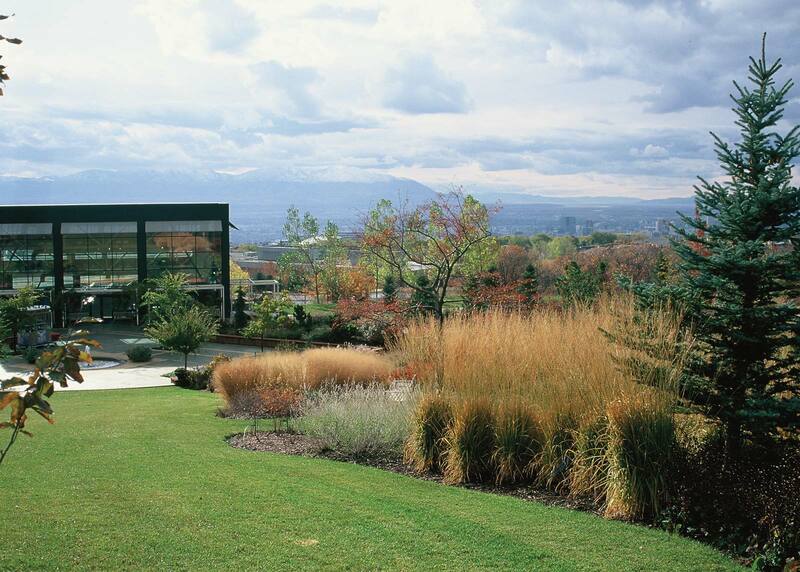 Located at the base of the foothills of the Wasatch Range, Red Butte Garden is home to an arboretum, amphitheater, over five miles of hiking trails, and 18-acres of display gardens. 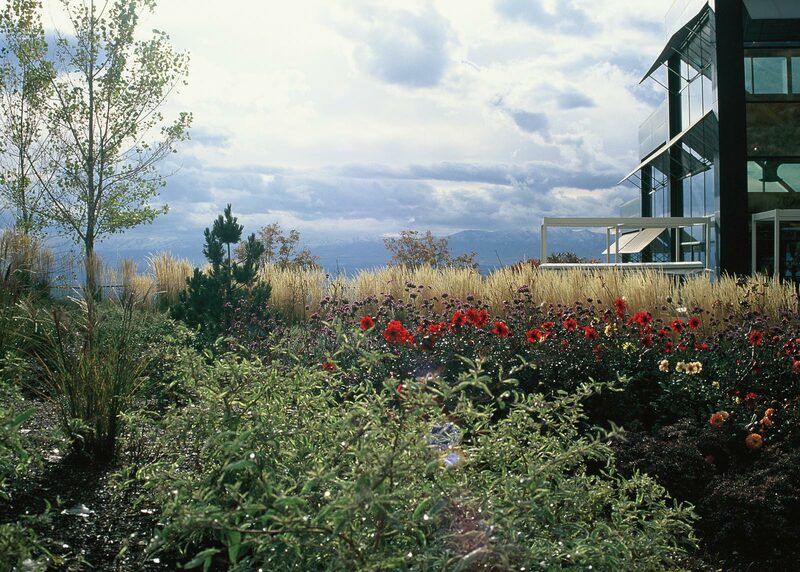 OvS designed The Richard K. Hemingway Four Seasons Garden to display seasonal interest at a high altitude. 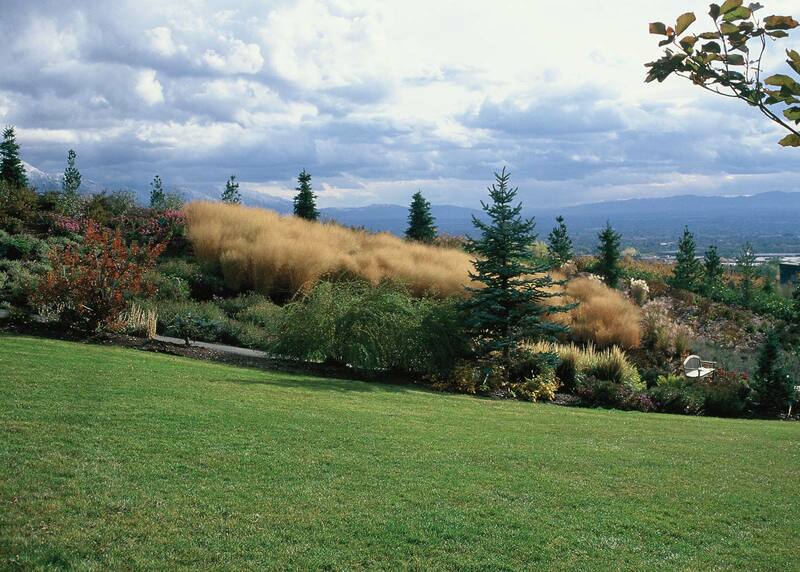 The selected plant palette withstands hot summers, cold winters, and highlights the geology of the rugged landscape and overall context of the Garden. Sloping foothills, undulating swales, stands of wild Gambel oak, and breathtaking views set the stage for the design. The tilted landscape plane provides a perfect canvas to abstract the rigid mountains in the distance. A serpentine path circulates guests through the garden and offers seating that maximizes views of Garden vistas. Autumn brings out vibrant oranges, reds and browns in the collection of shrubs and grasses, contrasting the conifers and clusters of perennial seed heads.